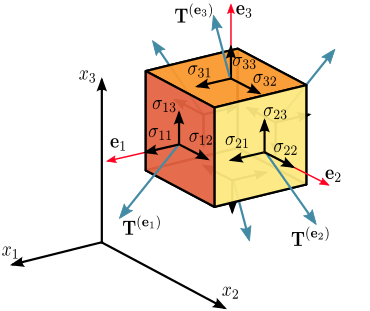 Finite Element Analysis is a highly specialized skills subset of the stress analysis skills umbrella. Finite Element Analysis (FEA) and Modeling simply means breaking up a large structure into tiny pieces. In other words, discretizing the large structure into finite elements. These elements are part of a large library of elements found in a software program, called the FEM Pre/Post Processor (e.g. 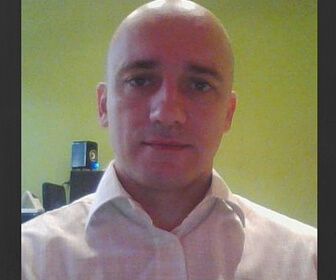 FEMAP, Patran etc.). The models are solved using the Analysis Solver (e.g. 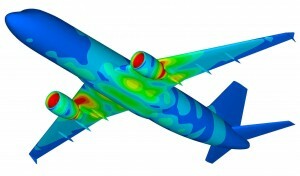 Nastran in Aerospace). Elements are nothing but mathematical representations of structural members. 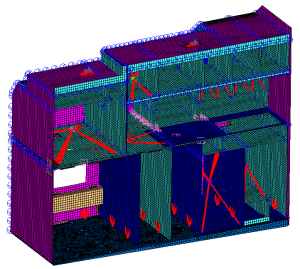 You take the large structure made up of various structural members and joints, then use the appropriate element types to model that large structure. The key is to know what type of materials, properties, and element types or connections to use in the FEM program in order to properly model the structure's stiffness and behavior under loading. FEM is almost a mandatory skill in aerospace stress analysis today. The main purpose of FEA in a majority of aerospace applications is loads development. Aircraft Structures Modeling is the application stage of finite element analysis. This is probably the most important part of the stress engineering cycle. The fact is that a majority of the effort related to stress engineering is developing accurate or close to accurate loads, at least in the aerospace industry. Even today, the tried and tested product development cycles involve modeling of the critical structural load path members to determine the loads required for sizing. If the loads are inaccurate, the sizing will also be inaccurate, thus resulting in wasted engineering hours. So it is critical to understand proper modeling techniques to capture the stiffness of the systems, constraints and applied loading and resulting component loads. This is what you will learn in the Aircraft Structures Modeling course. Stress Analysis is a highly specialized field of mechanical or aerospace engineering. 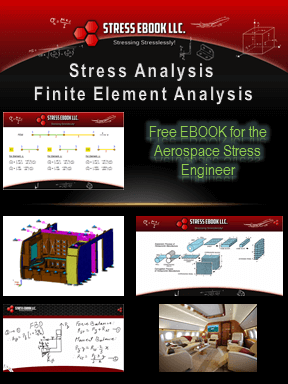 Stress analysis is all about structural analysis of different components on an aircraft. It involves sizing (for stress optimized dimensions) of components under various loads obtained from FEA and modeling, and then documenting all the analysis in the form of reports or stress notes. These reports are then later used for certification with the appropriate certifying authorities. For example, the Federal Aviation Administration (FAA) is the authority here in USA, European Aviation Safety Agency (EASA) in Europe etc., and wherever the aircraft is flying. Certification can be done by analysis or by static testing, it depends on the case. The three things below sum it all up in terms what this website is all about. Free aerospace engineering related technical, non technical and HR related blog posts. The best part of this site is the exclusive members only online courses, where all the premium content resides. 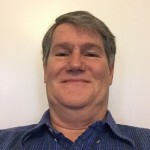 My Background: I graduated college in 1979 with a Bachelor of Science in Aerospace Engineering, and I have been an aircraft stress/structural engineer and manager at various companies over the last 35 years. During the last 17 years I have worked in the executive aircraft interiors world. Stress Ebook LLC. FEA Course: This online course is well laid out and very informative, especially for an analyst in the executive aircraft interiors industry, but also for any analyst who wants to learn about FEMAP and its capabilities. The course provides clear, concise explanations and descriptions for the majority of the commands (drop-down menus, toolbars, etc.) that are used in modeling and analysis. It is a great beginners course, the building of actual models in the last few sessions really helps to tie all the lessons together, as do the instructor-provided, downloadable models presented thru-out the course. I'm looking forward to the more advances courses as they become available online. My Background: I graduated in 1980 with an MSc in Materials Science preceded by a Bachelors Degree in Science, both in the UK. I have worked for over 25 years, mostly in the aerospace industry on M&P and Structures Concept Design specializing in Composite Materials. Stress Ebook LLC. FEA Course: I find that the online teaching method with detailed on screen views is a refreshing method of learning. The tuition explains the various steps in great detail and being online one can go back anytime to query or refresh what has gone before. The course acts both as a useful remainder of what I have done before and slowly introduces new and up to date concepts. I plan to continue onto the more advanced courses as they become available. Never worry about missing any special offers or missing the latest blog post! Only paid members get special member pricing promotion discounts by email. Use the knowledge you gain from the courses to help you become the champion at your work almost immediately. You can access the content on this site from your laptop, mobile device or a tablet, anywhere and anytime with internet connection. Powered by BB Press, as a paid member you can share your ideas and get answers to your questions on the exclusive members only FORUMS. Have any questions or concerns about course content? Email us and we will respond within 1 hour. As a premium member, you get free updates on any new content added within your member level. Curious about what courses are offered on this site? My Background: I graduated in 1986 with an MEng in Mechanical Engineering at the Technical University of Lisbon - Instituto Superior Tecnico, Portugal. 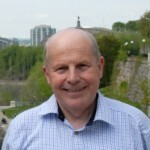 In the last seven years of my career I have been working as a Stress Engineer in the Aerospace Industry and have participated in major airplane development programs; Bombardier (CSeries; G7000/8000), Airbus (A350 XWB, A380, A400M), Boeing 787, Embraer KC390 and Mitsubishi Regional Jet; Stress Ebook LLC. FEA Course: This course did everything right. From organization to presentation to interaction, this is a good model for what online training should be. 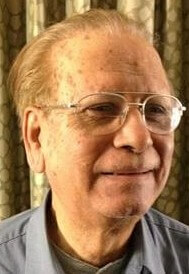 The tutor has a very clear and concise teaching manner which works well for me. I'm going to register in Stress Ebook LLC. more advanced courses already available online. We value your privacy and your information is secure with us!